We self-reliant types spend a significant portion of our lives prepping for a long-term disaster. We grow our own groceries, cultivate backyard apothecaries, hone our shooting skills, preserve the garden harvest, hunt, fish, and harden our bug in or bug out locations. But how many of us have really thought about what daily life would be like during a long-term disaster? Sure, we all know grocery store shelves will be empty within hours (not days, like FEMA claims), calling 911 for help won’t be an option, and the unprepared will panic, leading to the development of marauding hordes. All of that will happen within hours to a few days after the end of the world as we know it – TEOTWAKI. Have you thought long and hard about what life will be like in the weeks, months, and possibly years that unfold after the incident that sparks the long-term disaster? 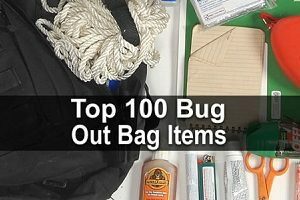 It doesn’t really matter what type of SHTF event you are prepping for at the moment. The impact on our daily lives during any long-term disaster will be incredibly similar. 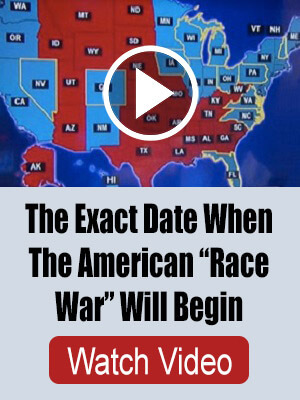 Any TEOTWAWKI-level event will cause a societal breakdown of epic proportions. A Nuclear War or an EMP will grind life as we know it to a halt more quickly than any other scenario, and eventually, a return to an 1800s-like existence will come about. Tending to livestock, protecting them from marauders around the clock, slaughtering and butchering the animals, and putting up the meat. Being part of a 24/7 perimeter defense team to protect the prepper retreat. If you leave the home or have to use transportation around the property, it will most likely be either on foot or horseback. 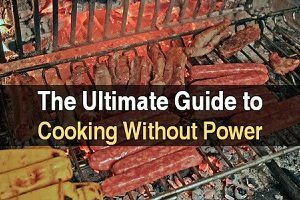 Cooking will be done on top of a wood stove, in a fireplace, or outdoors over an open flame – without modern appliances to aid you. Long hours with lots of hard work will be in your future when it is time to harvest the crops and preserve them so you don’t starve over the winter. Clothing will be sewn and mended to preserve it as long as possible and to make garments for growing children and babies born during the disaster. Teaching the children will be your responsibility. From a young age, the children will have to balance their time between educational and vocational activities so they can learn the self-reliance skills they will need to work the land and stay alive after you are gone. Hunting, fishing, and trapping will no longer be a seasonal activity but a daily or weekly necessity – and not a safe one at that. Going into the woods, even if you own them, could easily place you in harm’s way. Finding game will be only half the battle, you must get the meat back home without someone stealing it from you. You will be getting up at dawn, much like our pioneer ancestors were. The workday and family activity (except perimeter patrols) will end at dusk because you must conserve flashlight batteries and lamp oil for only essential uses. Do not expect to garner power by flipping on a light switch. 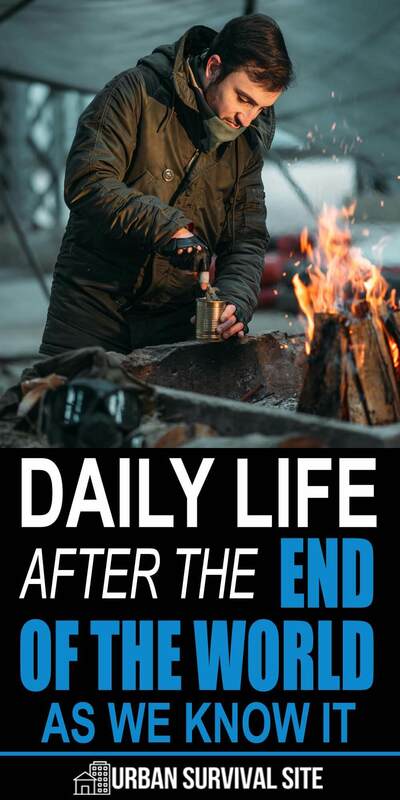 If you think this daily schedule is too extreme and full of stereotypical doom and gloom, please read on to find out why you must adapt both physically and mentally, to prepare for exactly this type of post-apocalyptic future. If the end of the world as we know it scenario involves an EMP, any vehicle newer than 1950 to maybe 1970, will cease to run. As will any sensitive electronic equipment you own, hospitals own, or first responders use – unless they were stored in a Faraday Cage durable enough to withstand the electromagnetic pulse. The powerful and dedicated men and women of the United States Military would not be able to do their duty if their ships, planes, and other military vehicles could not move, and their radios did not work. Whatever amount of gasoline, kerosene, propane, and diesel fuel you had stockpiled would be the last you would be able to pump. An EMP attack would also realistically take down the 7,000 or so airplanes flying in the sky above America at any given moment. All planes that crashed over land would spark massive flames that firefighters would not be able to put out because their fire trucks wouldn’t be working. If you think the United States government or the power companies that jointly control the grid have stockpiled extra transformers and stored them in a Faraday Cage, you thought wrong. By and large, we do not even make the components necessary to repair such a power grid problem in our own country anymore. If the long-term disaster only impacted the United States, perhaps a shipment of the needed parts could make it here from overseas in a few months. A TEOTWAWKI global disaster of this type means we would likely be living without electricity for years… or forever. Even if the end of the world as we know it scenario did not involve an EMP or nuclear war, the power grid would eventually cease to function. A pandemic, economic collapse, or other long-term disaster you are concerned about, would not make it unsafe or worthwhile for power plant employees (those that survived) to go to work. Solar panels and generators are an excellent SHTF alternative power source. But the panels and the generator must also be protected from an EMP, nuclear fallout, and natural disasters in order to remain functional during a long-term disaster. During a long-term disaster, you must have an off-grid way to heat your home. The two-year-old furnace in our home was turned on just once, to test it. We heat using wood stoves. Putting up wood is a year-round chore to make sure there is always enough in the shed to get us through even a rough long winter. Once the power grid goes down during TEOTWAWKI, the gasoline needed to fuel chainsaws will be in decidedly short supply. We have the manual tools and livestock needed to go into our woods to cut and haul wood even after the SHTF, but not everyone is so lucky. If you don’t have acres of woods and enough preppers in your tribe to get wood cutting safely done without pulling bodies off property perimeter detail, the family could be placed in grave danger. Winter will be an incredibly dangerous time during a long-term disaster. Hungry and cold survivors will be willing to do just about anything to fill their bellies and prevent hypothermia. I have no desire to have air conditioning, but preppers who live in the South might feel differently about the loss of this luxury item. Preppers with elderly, infant, or sick loved ones will need to find a way to keep cool during summer to prevent heat stroke. Daily life will involve copious amounts of manual labor, increasing the potential for outdoor workers to suffer heat stroke or heart attack, as well. Water will not flow from your faucet without employees going to their jobs or power to make pumps work. About seven years ago, we had a regional natural disaster in my part of Appalachia that left portions of three states without power for over a week. The water plant in our county had only enough in the lagoons to serve basic needs for three days without processing and pumping more. Once law enforcement officers drove around using loudspeakers urging everyone to conserve water, the panicked folks did the exact opposite and the lines ran dry in about 24 hours. FEMA arrived with enough bottled water to serve a quarter of the population four days into the disaster. The water was warm and an equally small portion of ice rapidly melted on pallets in the 102-degree heat we were experiencing that July. Without power, flushing commodes and the weekly pickup of trash also won’t continue. When raw sewage and trash begins to flow into the streets, a second coming of the plague might not be far behind. Dumping raw sewage in the yard could cause it to infiltrate your growing areas and natural waterways – again causing sickness. 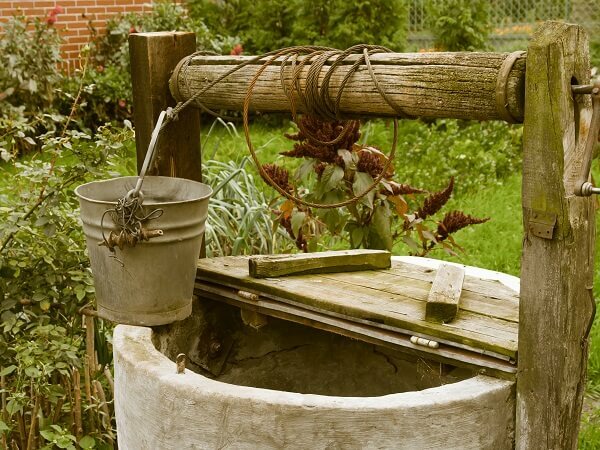 Folks who use wells instead of being connected to a municipal water line will have to use a manual dipper to get water or have devised an alternative power source to make a well pump run. In addition to water storage, be sure sure you are also able to purify water. Sickness will spread rapidly during a long-term disaster. Even something as simple as a scratch on a piece of rusty fencing or the common cold could become lethal. You must grow your own home remedies and learn as much advanced first aid as possible to enhance your family’s chances of survival. Seemingly moderate injuries, like a broken ankle that is not reset properly or requires surgery to repair, can maim a survivor or life. Contact without people outside of your immediate family or prepping group could expose you to deadly diseases that were once treatable or vaccinated against like diphtheria, scarlet fever, whooping cough, tuberculosis, cholera, malaria, mumps, measles, and even polio. It is not only human disease running rampant during a long-term disaster that you should be worrying about and prepping to prevent, but illnesses that can cause your crops to fail and make livestock unfit to eat as well. Running out to the store or an auction to get more seeds, plants, or livestock will not be an option during an end of life as we know it event. 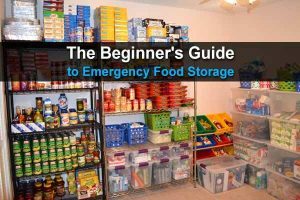 Smart preppers will have stored plenty of extra seeds for both future year use and barter – but those seeds will not grow quickly enough to prevent the starvation of your family if disease or weather wipes out our garden or barn. If you are not growing natural remedy ingredients to keep your livestock healthy and learning how to use them, get started right now. You will not only have to be your family’s chief medical officer during a long-term disaster, but a vet as well. The survival of your family is dependent upon the health of your animals. Depending upon the type of TEOTWAWKI disaster that strikes our great country (or the world), up to 80 percent of the population could be dead within hours to weeks. 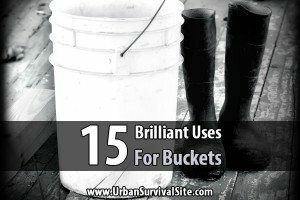 Survivors must possess the skills, stockpiled goods, and physical ability to accomplish the tasks that are vital to keeping the prepper retreat going each and every single day. Thanks for reading! Next week I’ll talk about the best prepper jobs to rebuild society after the SHTF. “…[A]ny vehicle newer than 1950 to maybe 1970, will cease to run.” I have read a blue billion articles on EMP effects. I believe that you are dead wrong. The argument has always been over whether vehicles manufactured after 1975, the year the change to electronic ignitions took place, will work after an EMP. With the passage of time, more and more microprocessors were added to vehicles, with 90 to 120 microprocessors now being used in current vehicles, and many say that this dependence on microprocessors also increases the vehicles’ vulnerabilities. “Solar panels and generators are an excellent SHTF alternative power source. But the panels and the generator must also be protected from an EMP, nuclear fallout, and natural disasters in order to remain functional during a long-term disaster.” Please explain how solar panels will be affected. I have read numerous accounts that only the diodes will be affected. I have read numerous articles that say that the problem is a relatively easy fix, and there are “workarounds” in any event. Please explain how fallout will affect a solar panel. Yes, I suppose that you can say that a natural disaster such as a flood, tornado, or Yellowstone Caldera eruption can affect the functioning of solar panels, but you paint with a brush that is much too broad. Replacement transformers would be installed by the replacement government, likely the Chinese.